I’m not kidding. I can get by on either, but when I have the choice, Lightroom wins. That’s because Photoshop is a powerhouse graphics editor, and Lightroom is dedicated to photo editing. I avoided/ignored this truth for several years, like a damn fool. Thanks to Lightroom, I can now emulate many of the stylized photo processing techniques I see around communities like Flickr, Instagram, and VSCO (more on those in upcoming posts). Here’s an example of how I’ll often shoot dark, underexposed photos that have what looks like far too little light to work with — at first. Remember, I’m shooting in RAW. A JPEG doesn’t have much of a chance at being very versatile in this situation. In highly dynamic situations, like this one where I’m walking down train tracks towards the blinding sunset, I usually experiment with varying levels of exposure compensation (telling the camera to adjust its automatic exposure settings below and above what it thinks is optimal exposure) and set my ISO to L(50), 100, or Auto (100 to 400). Sometimes the blacks & shadows hold the shot together, and sometimes the whites & highlights do. I most commonly set my Canon 6D to shoot at one stop less than it thinks it should aim for, though this can backfire if my light source is fading fast. I also like to use Exposure Bracketing to quickly get multiple shots at different shutter speeds, because it can be hard to tell if the camera is going for the same thing(s) you are. Keep in mind, the Canon 6D does really well with keeping detail in the shadows that you can bring, essentially, out of nowhere. Watch what happens next. I created a Lightroom Preset that runs some initial stuff like Auto Exposure, Lens Correction, and a Tone Curve that I consider pleasant. Instead of sharing my preset here just yet, I advise you to first decide if your photography situation requires any such automated processes. 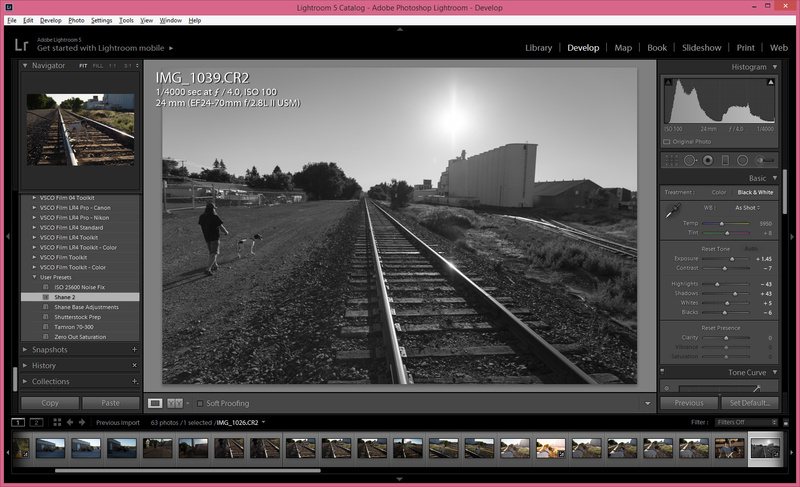 I don’t always use presets — many photos get treated completely from scratch. I also advise you to create your own presets based on whatever it is you find yourself most commonly doing in Lightroom. Mine won’t necessarily have much to do with your needs. 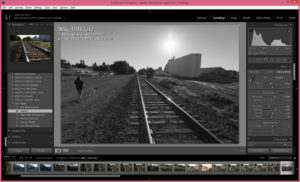 In this case, the “Shane 2” preset fires off Lightroom’s Auto Exposure adjustment and turns the photo from color to black & white. 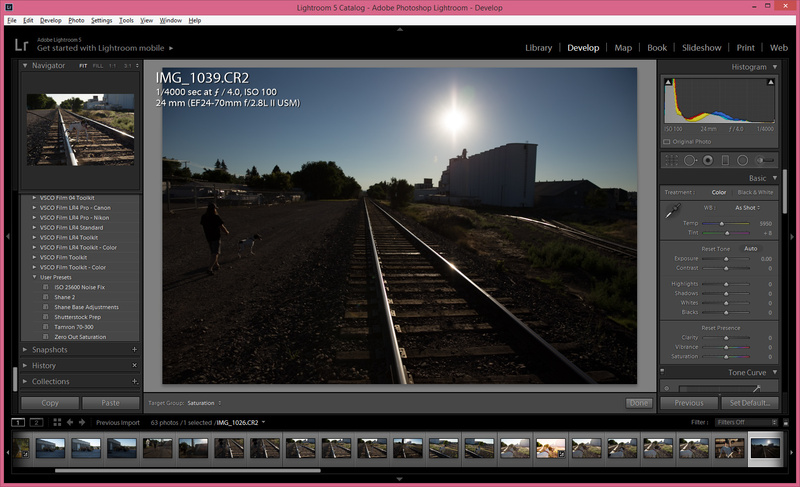 White Balance and Tint are left alone, trusting that my Canon 6D’s Auto White Balance and neutral color handling has things under control. In this black & white, auto-brightened version of the photo, I get a much clearer view of what details are available in the shot. I don’t tend to leave it black & white for long, but sometimes it sticks. As I ignore the histogram (probably a foolish thing, but #yolo), I return the photo’s Treatment to Color mode by clicking on “Color” above the White Balance (WB) slider, and fool with every exposure setting. Exposure, Contrast, Highlights, Shadows, Whites, Blacks, Clarity, Vibrance, Saturation… Nothing is safe; nothing is correct, nothing is incorrect. If moving it makes it look better, I keep it there and move to the next one. I return to many of these settings for additional tweaking throughout the process of editing. This is the main place where a photo can get a faded look. On the closest photo to the left, notice how the Tone Curve curls up at the bottom. There are also several points on the curve. If you don’t see a curve to work with like this, click the little toggle switch to the left of the Tone Curve title. Clicking on the line adds points, double-clicking removes them. The bottom curve sets the levels and limits of your darkest tones, somehow mathematically leading up to a faded look as you curve up at the bottom. Experiment with this Tone Curve thing and get to know it well. 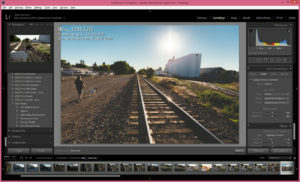 Don’t forget to check your cropping options (you might be surprised what happens when you crop out an object or an unnecessary section of a photo) by hitting the “R” key (in Develop mode). Use the spot healing tool by hitting “Q”. Raise and lower your exposure to find the dust spots and distracting specks, unless you’re into that kind of thing. Controversial, maybe, but I think adjusting color tones can breathe life into an otherwise average photo. I’ve noticed that in the HSL section, moving the Hue of Yellow and Blue slightly down (to the left) can lead to some interesting complimentary turquoise & orange vibes. Experiment with tweaking all of the colors’ Hue, Saturation, and Luminosity if you want to get a feel for how those affect your photos. These settings on sharpness and noise reduction will be different in each situation. Go with what looks right at the largest size and closest viewing distance you expect the photo to be seen at, and don’t overdo it! Pretty self-explanitory. Use it unless it doesn’t make the photo look better to you. Sometimes the lens’ natural vignetting is just what a photo needs. I tend to always lens-correct, then set the Vignette at a subtle -12, then tweak it from there. I usually bounce between settings throughout the process of editing a photo, because changing things down the line can definitely create some drastic changes in your photo. Take your time looking at the visual impact of the photo. Does it have a subject, and if so, is the subject meaningful to you or someone you care about? If you answered yes to those questions, export that thing. There’s more fun to be had yet. 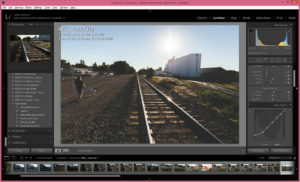 I export the photo (using a custom preset), upload it to Flickr, then download it from Flickr to my phone or tablet. From there, I edit it once more in VSCO Cam and/or Instagram. Stay tuned for the next post, which will cover the details of how I use additional apps to optimize my photos for smaller devices. This was great! I look forward to seeing a few of your presets. I’ve purchased a couple of sets and there’s a handful I consistently go back to quite often, but a lot of them I never use. I really like the darker shades, the flatter/faded look. I also almost always turn on lens correction too. Although, I have to admit I didnt know there is an auto exposure correction. How do you do that? My wife is the real photographer, who is getting her business going by doing senior pictures, families and other photos, so she is on Lightroom way more than me. When I am able to get on I’ve been playing with the tone curves, blacks, whites, shadows, highlights…all the stuff you mentioned. What I’m very interested in lately is color grading using split toning. My wife and I both like a very creative type of photograph and like you have no problems messing with every slider we find, lol! These blogs are awesome, please keep ’em coming in your “spare” time! Thanks! Split toning is definitely fun, but not something I use very often (one day I may find that consistent sweet spot that will end up as a preset). I’ll try to keep these going on a regular basis; thanks for reading and commenting! Okay, I’m an idiot, I just found Auto Exposure! Wow. Almost any part of Lightroom can be overlooked, especially with how easy it is to hide each module. Use “Auto” wisely — I almost never leave the sliders alone after clicking it!